“Community Property.” Nine states follow community property principles: Arizona, California, Idaho, Louisiana, Nevada, New Mexico, Texas, Washington, and Wisconsin (also Puerto Rico). The underlying principle is that property acquired during marriage, as income or otherwise, is owned equally by both spouses, with notable exceptions such as gifts and inheritances that usually belong to the spouse who receives them. Property acquired before the marriage or after separation is generally treated as “separate property” belonging to the receiving spouse. Upon the termination of the marriage (in a divorce, but also by death in some circumstances), the community property is divided in half; separate property is retained by the spouse who acquired it. The party claiming an asset is community property usually has the burden of submitting evidence to prove their claim. “Equitable Distribution.” Courts in states which follow this principle are supposed to look at the total picture regarding a couple’s assets, liabilities, and the conditions and resources of each, and arrive at an equitable division of assets. States using this method sometimes refer to “marital” and “non-marital” assets, akin to “community” and “separate” property concepts, but there is no requirement that marital assts be divided equally between the spouses (some states are called “quasi-community” property states). Advocates of each method claim theirs is the “fairest;” community property advocates claim that once the asset has been categorized as community or separate in nature, the distribution of that asset is straightforward; equitable distribution advocates argue their method offers the advantage of allowing the court to balance any equities of distribution. Both property distribution schemes are largely dependent on how an asset is characterized. This article deals with treatment of personal injury awards and settlements for lawsuits or claims commenced during the marriage.  Such awards and settlements may include damages for pain and suffering, lost wages, loss of future earning capacity loss of consortium (i.e., loss of companionship), medical expenses and damages to property. “Unitary Approach.” Although the court did not use this term, it describes the principle other commentators have called a unitary approach. This approach classifies any personal injury award or settlement as “personal” and the separate or non-marital property of the injured spouse, not subject to division in a divorce. Courts in a few states follow this method, e.g., Delaware, Utah, and a 1994 New York case. “Analytic Approach.” This method entails evaluation of the purposes of the settlement or award and the specific elements of damages. Lost wages and medical expenses (if paid out of community or marital assets) are community or marital awards, subject to division in a divorce. Other elements of damages are treated as separate or non-marital property of the injured spouse, e.g., loss of future earning capacity (although this is treated as a community or marital asset in some jurisdictions), pain and suffering, and loss of consortium (both spouses may make this claim and the award to each remains separate property). Damage to property may be either community or separate, depending on the nature of the property damaged. In some cases, where there is egregious conduct by a defendant, a court may award punitive damages to punish the defendant. There is little authority regarding treatment of punitive damages, but a 1996 Alaska Supreme Court case involving punitive damages in the notorious Exxon Valdez oil spill action held that punitive damage awards should mirror treatment of the underlying award or settlement, i.e., if 50% of the underlying award is deemed community property, subject to division, 50% of the punitive damages should be treated as community property. This approach is used by most courts in community property states and also in a growing number of equitable distribution states, including Florida, New Jersey, and New York. “Literal or Mechanistic Approach.” The award or settlement is treated as marital property if acquired during the marriage, regardless of the purposes of each element of damages. The South Carolina Court elected to follow this approach, but called the term misleading. It noted that even though the award is automatically deemed marital, courts are not required to divide it equally, but can and do fashion an equitable division based on many factors, including those used in the analytic approach, such as the purpose of each element of damages. Courts in states such as Illinois, Michigan, and Massachusetts have followed this approach. In jurisdictions that follow the analytic approach, specification of damages and amounts allocated to such specifications in a settlement agreement or court verdict may be helpful. A court may even be bound to accept such allocations. Absent such a document, the court may be forced to determine what portion of a settlement or award is community or marital property, as opposed to separate or non-marital. Often there is a presumption of community property if obtained during the marriage, therefore such a document may be necessary to avoid community treatment. Some commentators and courts have noted the potential for abuse. For example, an injured spouse may settle a personal injury case and have all or a disproportionate amount of damages designated as pain and suffering, even though the claim involved lost wages. The other spouse may object and claim the settlement constituted dissipation of marital assets, prompting the court to modify the division of the settlement accordingly.